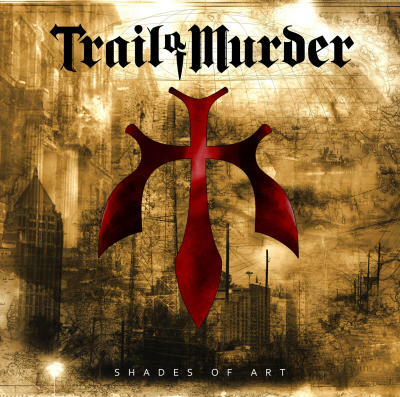 Rock & Metal 4 You: CD-Review: TRAIL OF MURDER - "Shades Of Art"
When I listened to this CD for the first time, the first thing I thought was: what a great production! This album sounds huge. Everything is so clear and provides enough space for each instrument. This album can compete with every big-budget-production. The second thing that hit me was the opener. It's the title track "Shades Of Art" and this one is melodic metal / heavy rock in perfection. A song, that can thrill you and makes you hungry for more. This would have been in my top ten list of 2012, but sadly I couldn't find the whole song on Youtube to show it to you. But below you'll find an album teaser, where you can hear a part of this amazing track. But "Shades Of Art" is not the only highlight here. "Mab" delivers fast Power Metal and makes your head banging. 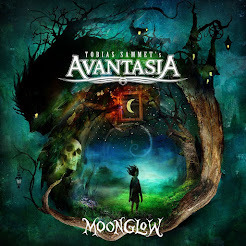 "I Know Shadows" is also a great song, which reminds me at Kamelot. Trail Of Murder add always some progressive elements to their songs to ensure that it never gets boring. That works pretty good. Another tribute is due to vocalist Urban Breed. He has a really strong voice and he gives each song a personal note. So, after all this praise - is there something negative about this album? In my opinion, "Shades Of Art" can't maintain the high standard of songwriting in the last third of the record. Here it gets a bit repetitive, but this is nagging on a high level. Next time please some more variety. In conclusion I can say that you should give this a listen if you like Melodic Metal, Power Metal or Heavy Rock. You won't be disappointed. This is my personal album of the month!